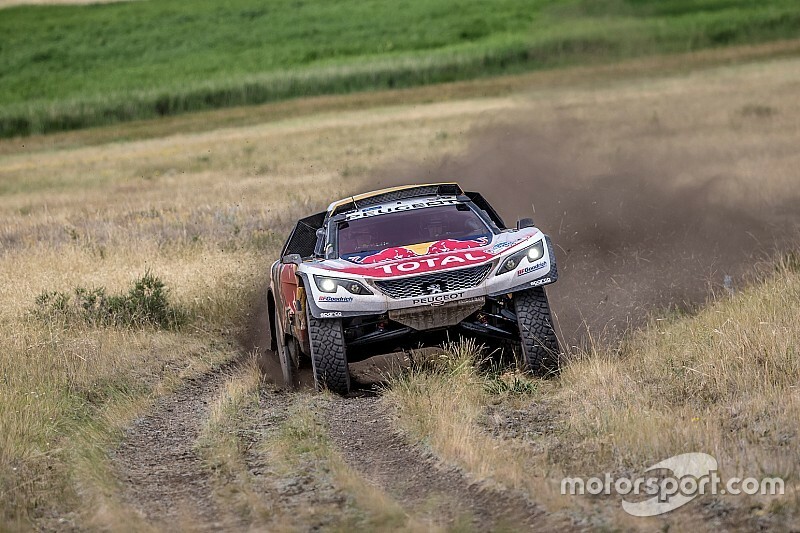 The penultimate special in Kazakhstan saw victory go to Stéphane Peterhansel (Peugeot 3008DKR n°106) in the car class. In the trucks it was Eduard Nikolaev (Kamaz-Master n°307) who took his first victory, just before the rally heads into China. As for the last few days, since the rally has been in the vast Kazakh steppes, it was the crews who started further back who had the least problems with the navigation. On arriving at the bivouac in Urdzhar, in the extreme south-east of Kazakhstan, it was all smiles again from Stéphane Peterhansel and Jean-Paul Cottret. After two particularly difficult days, the winningest pairing in rally-raid history took their 2nd stage win on the 2017 Silk Way Rally. And even if, by starting in 25th place, the Peugeot 3008DKR n°106, that rolled on Tuesday and had mechanical problems yesterday, was able to take advantage of the tracks left by the trucks, and especially the Kamaz, transforming the special into an autoroute, their win gave them a boost.Especially as with 8 days of racing and 2000 km of timed special still left to go, ‘Peter’ has come back into the top 10 overall and is only 1h52 off the 3rd place. After having caught Cyril Despres, the day’s piste opener, Sébastien Loeb (Peugeot 3008DKR Maxi n°104) initially decided to follow his team mate, so as to protect his overall lead. 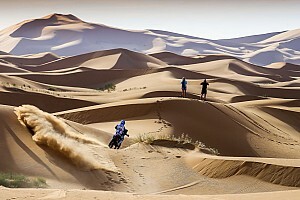 But as the navigation became more complicated, the two Frenchmen ended up swapping the lead all the way to the finish. The Chinese driver Han Wei (Geely SMG Buggy n°107), third on the day, takes the 4th place overall, while his fellow countryman, Lu Binglong (Baïcmotor n°130), once again got the better of his new French team mate, Christian Lavieille, who finished just behind him in 5th. Trucks: Nikolaev : Moral booster! For Eduard Nikolaev (Kamaz-Master n°307) this first stage victory could be the turning point of his Silk Way Rally. Forced out of the top 5, over 2 hours behind his team mates, who are leading the race, ‘Prince Eduard’, victim of a broken shaft drive on the third stage, was also smiling again this evening. Especially as he had to work hard throughout the special to fight off attacks from Siarhey Viazovich (MAZ n°304) and Martin Kolomy (Tatra n°311). Just 2 seconds behind Nikolaev, 57 km from the finish, the Belarusian’s final charge was cut short when he lost nearly an hour with mechanical problems. The ‘Supersonic Czech’ Kolomy took over but in the end missed out on the top spot by just 39 seconds. Third on the special, Dmitry Sotnikov (Kamaz-Master n°303) holds the overall lead, 2m12s ahead of his team mate Shibalov, while Kolomy completes the podium at 12m53s.